Activist, mother, lawyer, and do-gooder Jennifer Gannett recently created the opportunity that so many of us long for — she became a humane educator. Jennifer agreed to share with us how she prepared herself for this new role, reached out to her local elementary school to make it a reality, and used her skills and talents to reach out to children with messages of compassion and equality. Like many parents in our suburban town, my partner and I thought carefully about where our son would attend elementary school, eventually deciding on the environmental magnet school. In our home, we regularly bring up important environmental, animal, and human rights issues, and we were pleased to think that those discussions would be solidly buttressed by the school’s green theme. Unfortunately, we naively did not realize the serious toll that substantial budget cuts and other administrative issues had taken on the school’s ability to fully embrace its magnet theme. This year, I came up with the idea to ask my son’s teacher, Ms. M, if she could make use of my or my partner’s skills as environmental and animal advocates to bring some more green-themed education to her students. 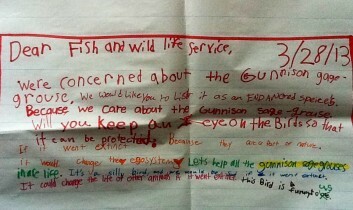 When she responded that she would like to have the class study endangered species, I was thrilled! Endangered species are a strong interest of mine, personally and professionally. I loved the idea of sharing my passion with a room full of second graders. My enthusiasm soon gave way to a teeny case of nerves. While I am a lawyer, and I think of myself as a seasoned public speaker, speaking to groups of self-selected adults about complicated animal and environmental issues is a far cry from engaging a group of eight-year-olds. Perhaps in part because I live with one and know firsthand that they have high expectations, second graders seemed like more of a challenge to me, audience-wise. And the plight of endangered species is not a simple, straightforward topic. 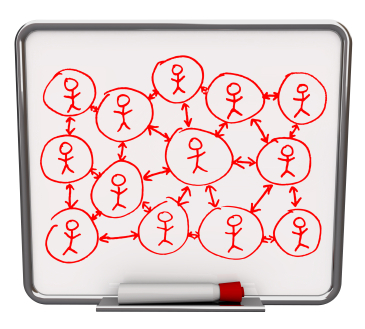 I wondered if I could distill the complex information in an accessible way. Before I could worry too much, and in what can only be described as a stroke of great fortune, I learned that the humane education powerhouses over at HEART were offering a one-day workshop for those interested in amping up their humane education skills. I happily took advantage of the opportunity, and this particular workshop gave me a number of ideas that I eventually integrated into my lessons. The time for my first lesson soon arrived. While the class gathered on the rug, I wrote a word cloud on the whiteboard to introduce the terms I’d be discussing. I then opened by talking about the circle of compassion, and the children discussed who or what might be in their circles (trees, flowers, dogs, and cats were popular choices). I then gave them an overview of endangered species issues, presenting and discussing terms such as species, endangered species, threatened species, and habitat, as well as the Endangered Species Act (ESA). To illustrate the importance of habitat, we discussed orangutans, the production of palm oil, and the problem of habitat destruction. I closed by telling the well-known starfish story, reminding them that while no one can save every creature, we make a huge difference to the individuals whom we do help. The students had a lot to say about the story, and their comments ranged from concern about the starfish who were left on the beach to astonishment that the adult in the story would act so callously. For the next lesson, Ms. M and I chose a letter-writing project. 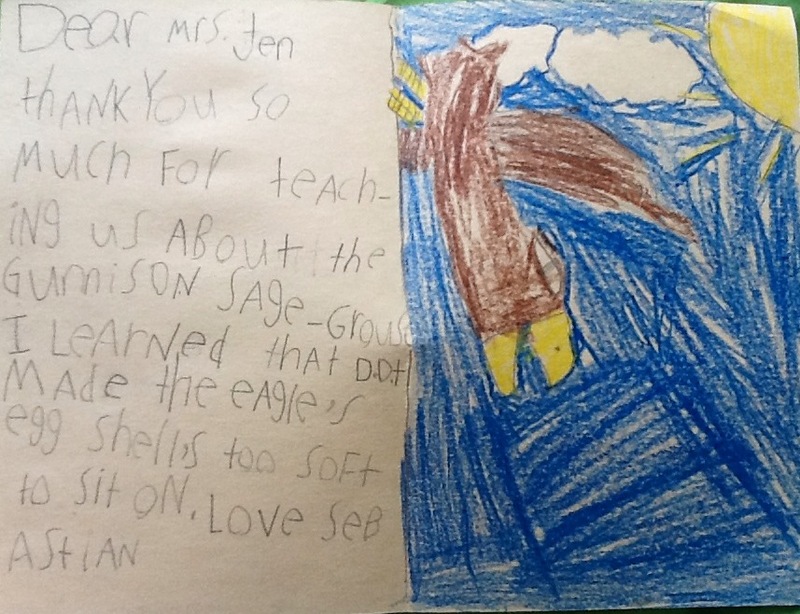 After a review of the concepts covered in the previous lesson, we spent time discussing some of the (cough … few … cough) ESA successes, including bald eagles and peregrine falcons. 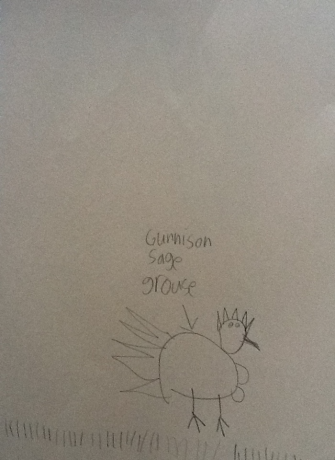 We then turned our attention to learning about the Gunnison sage-grouse. This bird is in grave danger and a candidate for listing as an endangered species. When we watched a video about the Gunnison sage-grouse from the Cornell Lab of Ornithology, we all enjoyed the males’ exaggerated maneuvers as they bobbed around on the ground. Soon, it was time for some focused letter writing. Ms. M and I were excited about this part of the lesson because it fit well with both the environmental theme and the second graders’ writing program. The students were engaged and enthusiastic as they wrote to the U.S. Fish and Wildlife Service. Sentence by sentence, they crafted heartfelt and personal letters, and they illustrated their messages with beautiful pictures. I am willing to wager that theirs may be the only comments on this issue that are sprinkled with hearts and written in colorful markers. Our final lesson focused on chimpanzees. To begin the lesson, I asked true-and-false questions about chimpanzees, which served to engage both those students who already knew some of the answers and those who were only making educated guesses. 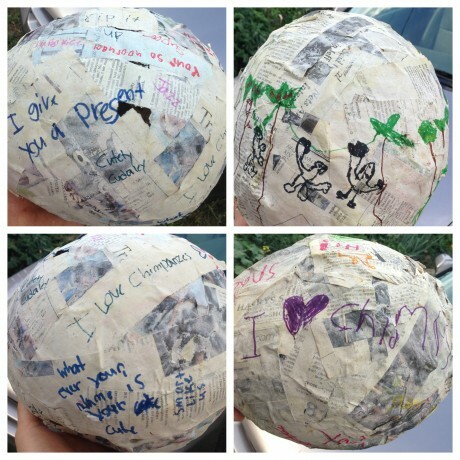 Then we jumped into a hands-on project – making papier-mâché spheres called chimpiñatas, which are used by Save the Chimps as enrichment for the chimpanzees in its sanctuary. We also circulated the “needs and treats” portion of the sanctuary’s wish list to the school community, gathering donations to add to the chimpiñatas. As you can imagine, the children loved making the chimpiñatas. I strongly recommend this project, but I also suggest doing it outside, unless you would like to find yourself on your hands and knees double-checking the cafeteria floor and tables for rapidly drying paste. Because all three of these lessons touched on advanced and thought-provoking concepts, I attempted to figure out the best way to break everything down into manageable chunks. As I reminded the students, some adults spend months in grad or law school just learning about the ESA! Now each of them knows more than the average American about the way the ESA works as well as some of the threats and potential solutions facing certain threatened and endangered species. By far the most difficult aspect was keeping the tone appropriate while not undercutting the truth of what is happening to endangered species. It is a challenge to impart the urgency of the animals’ (and plants’) situations – after all, they are listed as threatened and endangered because their positions are perilous – without being overly negative and throwing the doors wide open on some real horrors. The solution that I tried to pursue was to focus on some of the things that the students could do to help. My experience volunteering as a humane educator was a win-win-win. 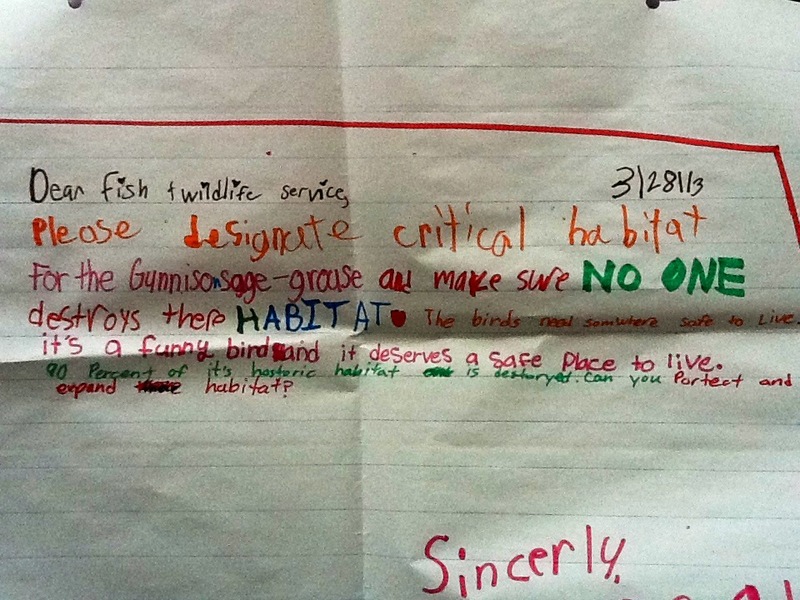 The students not only learned about national and global issues that were in keeping with their school’s theme, but they evinced high levels of passionate enthusiasm for saving the animals and making the world a better place (their words). A few responses that stand out include a moment at the beginning of our second lesson, when one student excitedly ran up to show me an advertisement that she’d found featuring an endangered species, and a day in June, when another mentioned that her favorite project all year had been making the chimpiñatas! Ms. M was genuinely enthusiastic about her students learning about endangered species, as demonstrated by her generosity and thoughtfulness in sharing her classroom with me. My win was feeling energized, inspired, and, yes, optimistic, thanks to the unvarnished interest of the students. When Ms. M gave me an envelope full of colorful thank-you notes and pictures from the students, it was evident how much the class had learned and how much they had enjoyed it. 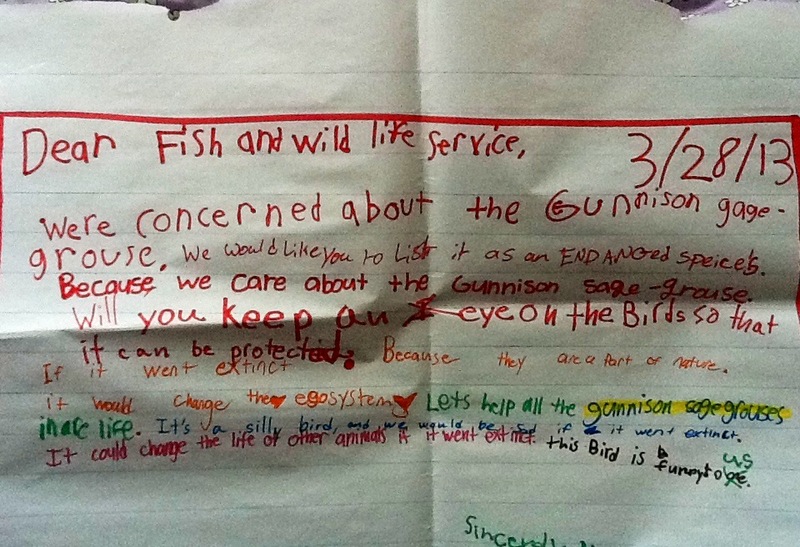 One thing second graders do not do is lie in their thank-you notes. And I hope that the animals will win as well, because these students learned new concepts that will help them piece together the puzzle of this world in a way that will allow their dynamic, shining spirits to honor the intentions that they brought to our time together: helping the world in whatever ways they can. Want to learn more about working with kids and humane education? Check out HEART, the Institute for Humane Education, the Association of Professional Humane Educators, The National Humane Education Society, the Jane Goodall Institute’s Roots & Shoots program, and The Humane Society of the United States’ Kind News Magazine. You may also be interested in Educating for a Just, Peaceful & Sustainable Future, an upcoming humane education conference. If you can speak knowledgeably about your topic, derive enjoyment in working with kids, and have some basic classroom management skills, humane education may be for you! Below you can see some of the students’ work. Jennifer Gannett is a graduate of Lewis & Clark Law School, where she studied lots of wildlife-related laws. 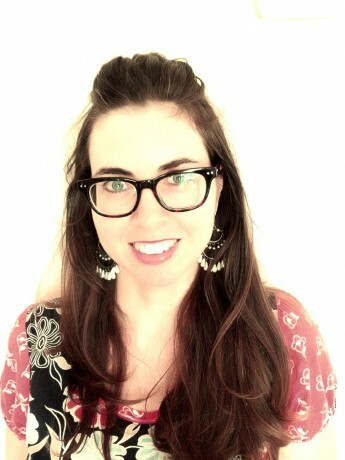 She is a reviewer and the outreach coordinator for Vegbooks, a resource for parents and teachers who want to support the vegan and vegetarian kids in their lives, and the founder of Starflower Vegan, a vegan coaching and consulting service. She enjoys letting the cupcakes do the talking, eating fresh raspberries, and watching Shaun the Sheep with her son. I love this post! It's inspiring and concrete -- any one of us could bring this kind of program to a local school, and we'd all (the kids, the teachers & us) be better for it.